A Shunt Regulator is a small electronic component that clamps a power supply voltage at a fixed level. Hundreds of times per second the shunt regulator checks the voltage, and if the voltage is over thelimit then any extra voltage is dissipated as heat through a resistor or other dump load. 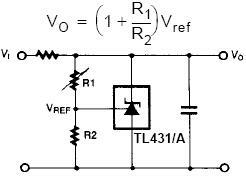 If the supplied voltage is below the set maximum, then no current passes through the resistor. How can shunt regulators be useful to alternative energy generators. Well, for example, a PV solar panel rated at 12V will actually generate up to 20V in full sunshine. If this panel is to be connecteddirectly to equipment requiring an input of 12V, that equipment could be damaged – particularly if it draws only a small current and if it contains sensitive electronics. Therefore, by passing the solar panel’s generated current through a shunt regulator circuit, the voltage reaching the equipment can beclamped at 12V* very accurately. Rather than dumping any excess generated power into a resistor and losing it in the form of dissipated heat, it is possible to put it to better use, for example diverting it to heat or pump water. In such a situation the shunt regulator may also be called a dump controller since the circuit decides when incoming power (from a wind turbine or solar panel) should be dumped – for example into animmersion heater element. Shunt regulators are an essential part of any Solar Charge Controller making sure that the batteries being charged by the solar panels are not overcharged. 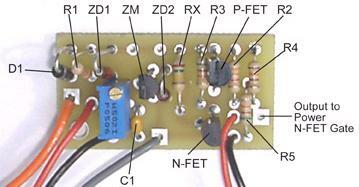 * An alternative way to obtain a fixed 12.0V from a solar panel is to use a 12 Volt Regulator. A common shunt regulator component used in many solar and other applications is the LM431 (akaTL431). This is a 3-terminal adjustable zener shunt (operating like an adjustable voltage zener diode) which can have its output voltage clamped to any value between 2.5 and 36V by the selection of two resistors. This component is available for sale in the REUK Shop: buy LM431. Click here to view the TL431 programmable shunt regulator datasheet (PDF) for more information on this useful component. The following link to Hurd Solar takes you to a comprehensive circuit diagram for a dump / shunt controller which will protect a battery from being overcharged (and therefore damaged). Unassembledcontroller kits are available for sale ($12) or you can purchase the components and put one together following the detailed assembly instructions and parts lists on that website. For people in the UK, all required components are available for sale at Rapid. Click here for more information about and to buy our REUK Dump Load Controller.